Teenage girl will attend two high schools after custody fight. 12-year-old girl forced to attend two high schools due to parents feuding. Two uniforms, two sets of shoes, two sets of books, two different lots of rules and teachers and timetables. And two different sets of friends. Is this any way to spend your first year of high school? 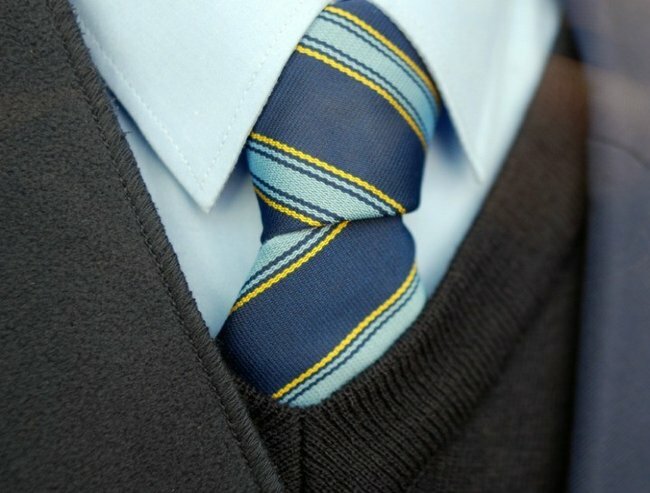 A bitter custody dispute between two waring parents in Melbourne has resulted in a 12-year-old girl starting two different high schools next year all because her parents refused to relent on their choices. Her mother, Amelia, told The Age that she initially signed the form of the school her daughter wanted to attend – a school near her mother’s house, but her father reportedly refused to sign the papers as he wanted her to enrol at a state school near his home instead. Under the Victorian Government Education Department policy, both separated parents must sign the enrolment form at the designated neighbourhood government school, unless a court order indicates an alternative, or “conditional enrolment” can be provided if only one parent has signed the form. Josie’s father then enrolled her at a school near his house – meaning the 12-year old will spend one day every two weeks at a co-ed school near her father’s house and will switch over to a girls’ school of her choice closest to her mother’s home for the remainder of her time. Amelia, whose last name was withheld, told The Age that the department needed to put a child’s best interests first. Josie claims she wants to attend the girl’s school and has written letters and visiting her local state MP to try and have the situation resolved. But Amelia says she can not afford to go to court and does not qualify for legal aid. The 12-year-old will spend one day every two weeks at a co-ed school near her father’s house and will switch over to a girls’ school of her choice. Australian Principals Federation president Julie Podbury told The Age that while the law may have been interpreted correctly, the situation was not in the child’s best interests. Late last night the Education Minister stepped in to try and resolve the situation. James Merlino has now intervened, telling the Education Department that Josie must only attend one school – and that it was her choice. As more couples divorce school principals say that these types of situations are not unusual. Good luck Josie. Let’s hope the rest of your schooling is dispute free.